We have tried to show a complete outline of our production. 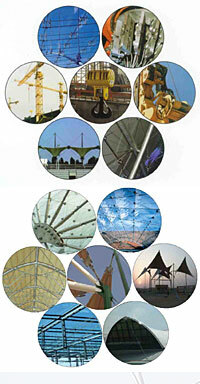 The main references are of course our long-standing employees and suppliers. Without them many „overnight“ services would not have been possible. If you require further references concerning membrane structures, products for the automotive industry or special wire ropes for all industries, please let us know.